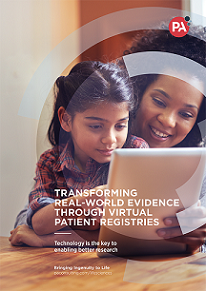 Well-designed and high-performing patient registries can give great insight into real-world clinical practice, patient outcomes, product safety and cost-effectiveness. But traditional registries are expensive to run; engaging patients is hard to sustain and the quality of data can suffer. With virtual registries however, rich data is gathered in real-time. Enabled by technology, including mHealth devices, they have big benefits over their traditional counterparts. how to overcome the challenges of setting them up.